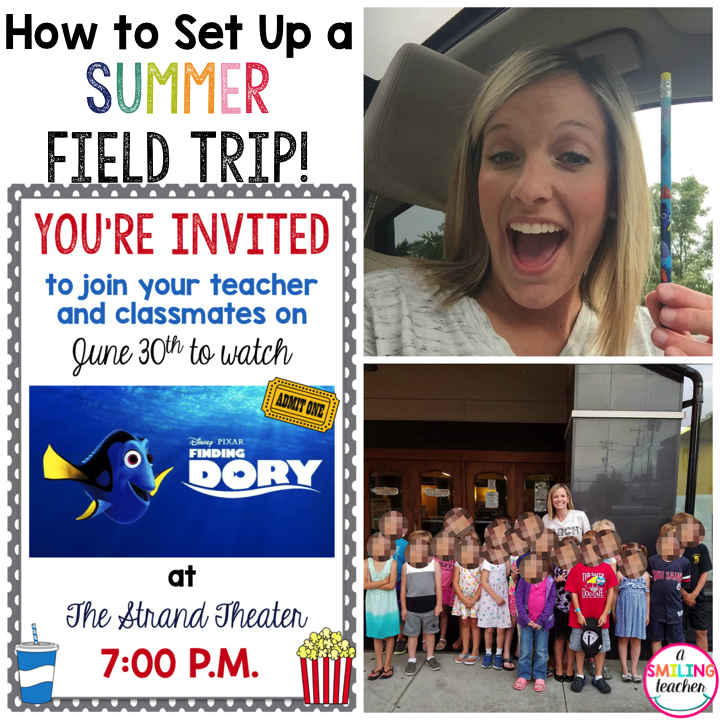 Today I’m sharing about the Summer Field Trip that I set up this year with my students! I don’t know about you but at the end of every school year, I become broken hearted. The thought of not seeing my kids until the following school year is just too much to handle. This past school year I was really struggling because this was my first group of All-Day, Every-Day Kindergarteners. 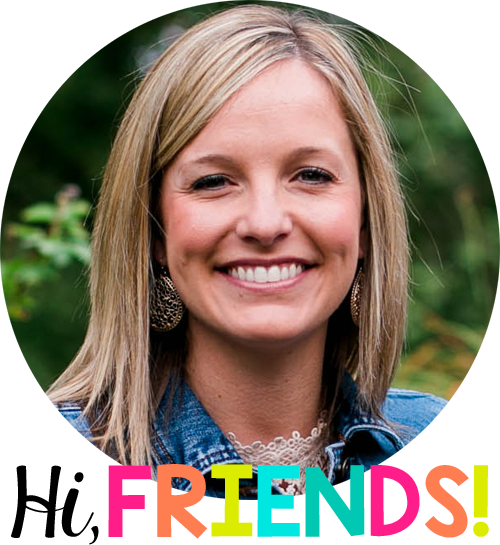 I grew even more attached to my students because we were together five, full days a week. I just knew I couldn’t make it through the whole summer without them! 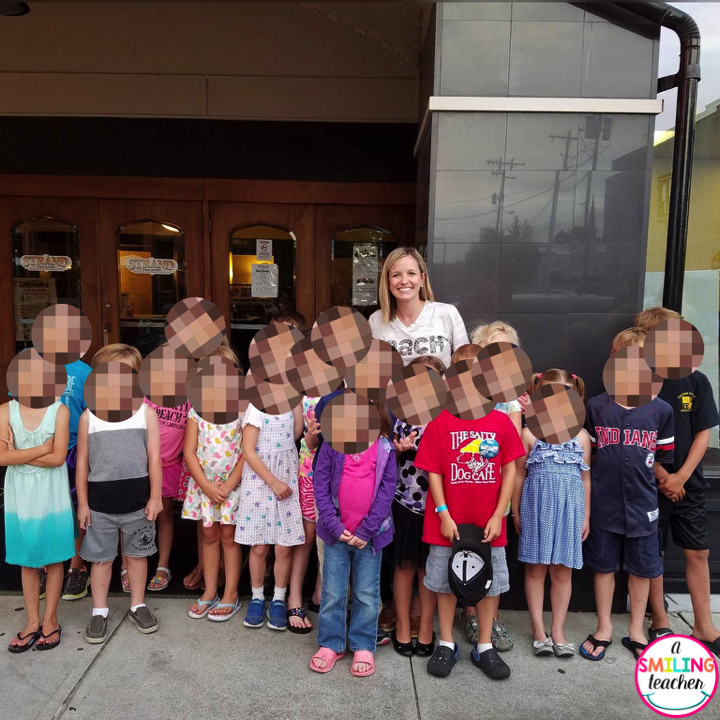 I came up with the idea of having a summer field trip but was nervous that they wouldn’t be interested. I mentioned to my students during the last week of school about getting together over the summer to watch the movie Finding Dory! They were ecstatic, and I knew I had to make it happen! The first step in setting this up was determining the location. 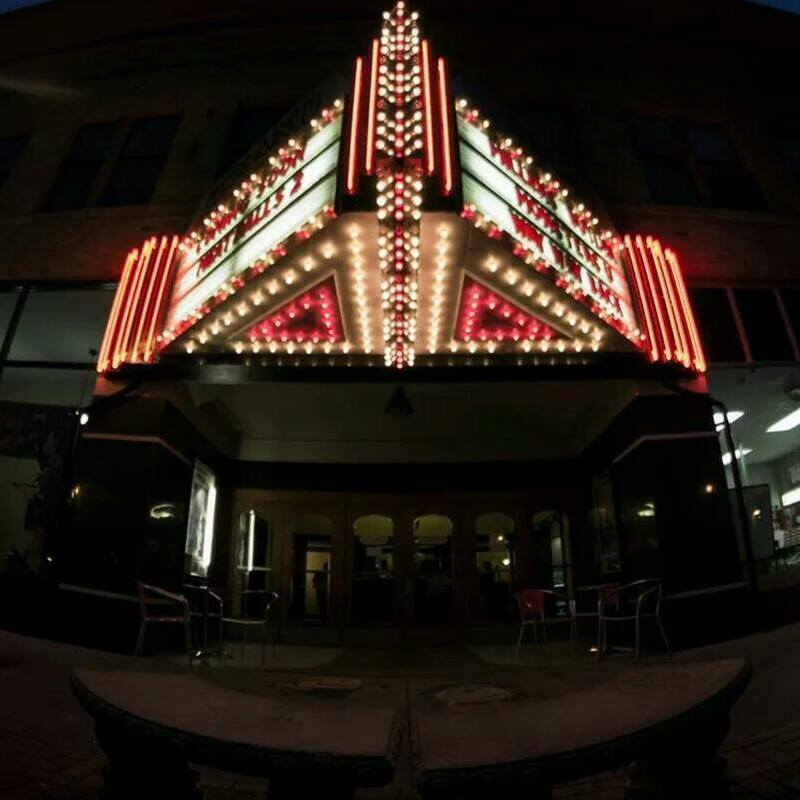 We are so lucky to have The Strand, a local theater that is right in our downtown area! My students all go there with their families, so I knew it was the perfect spot! It’s an old, renovated theater that just had it’s 100th birthday this year! I contacted the theater to get the showtimes and dates for the movie. I chose an evening showtime because I knew the afternoon would limit the number of students able to come due to family work schedules. We settled on a 7:00 P.M. showtime on a Thursday. 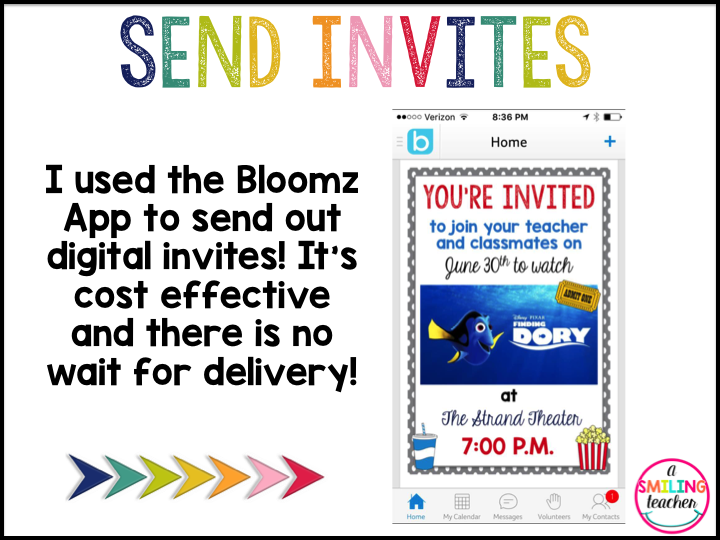 I whipped up invitations on my computer and sent it out through the Bloomz App! Planning the Field Trip was a breeze because I was able to communicate quickly with parents! They were able to RSVP in the comments! Easy Peasy! When the day of the movie finally arrived, it was literally like Christmas! I was soooo excited to see my kinder friends! 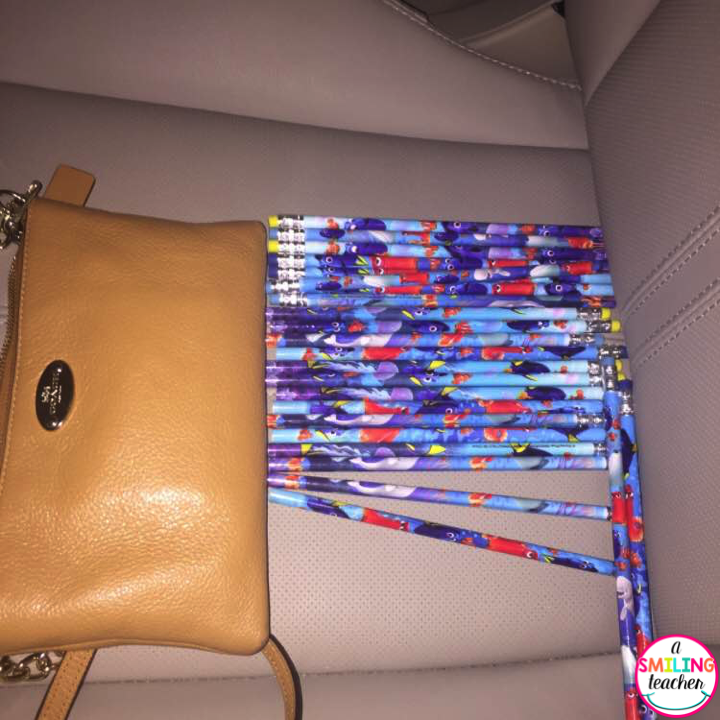 I even found some adorable Finding Dory pencils in the Target Dollar Spot for little party favors! When I arrived at the theater is couldn’t believe how many of students actually showed up! I was greeted with squeals of “Mrs. Masters! !” and hugs upon hugs. We were reunited at last! My students came with their families and paid their own way in. We sat together, had popcorn, and CANDY! By far the BEST day of my summer! 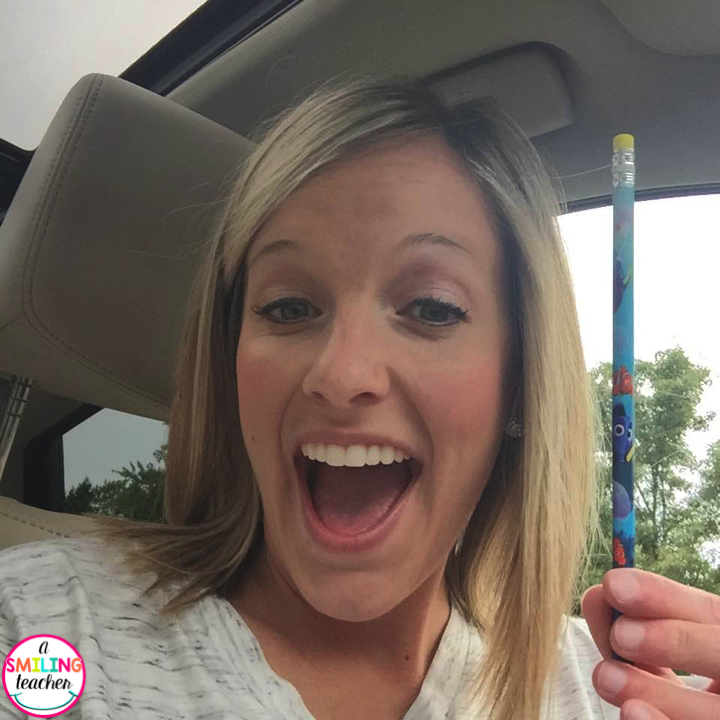 « Birthday Shenanigans Teacher Style!